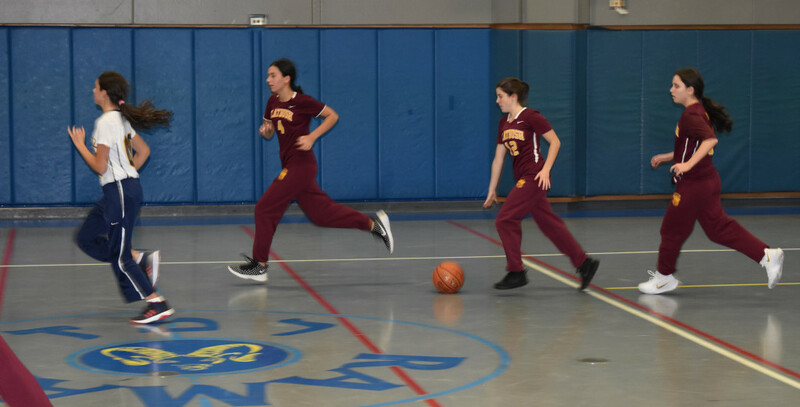 The Flatbush Varsity Girls moved to 2-0 on the season while the JV Girls lost a tough decision by two points as the Falcons split a JV/Varsity doubleheader Wednesday night (11/8) to the Ramaz Rams on Ramaz’s home court in Manhattan. The JV’s came in with confidence having recorded their first win of the season on Monday night (11/6) at Central. It showed in their play as they jumped out to an early 7-4 lead. But, ramaz soon realized the Falcon guards were struggling with the Rams full-court pressure and they pushed the defensive tactic. It worked, and by halftime, the Rams held a 5-point lead. Head Coach Rozan Mizrahi spent the better part of the intermission going over the press break with her young Falcons. It was clearly taken to heart as they came out with renewed energy, sparked by the offensive play of Freshman Marcy Ashear who tallied 8 points in the 3rd Quarter. The offensive display put the Falcons ahead at the end of the period. But Ramaz did not abandon its press, and it was a wise move on their part. Flatbush’s backcourt continued to turn the ball over wich led to easy Rams baskets as well as a collection of Falcon fouls. The the clock winding down, Ramaz held a two point lead, but Flatbush had the ball. the Falcons looked one more time for Ashear to save the night, but it wqas not to happen. The forward’s jumper at the buzzer caromed off the back rim, and the Falcons fell 30-28, to the New York City school. The Varsity took the floor next, looking to stay unbeaten on the season, and they came out ready to play. 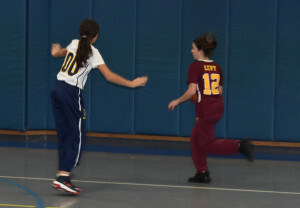 After Ramaz scored the first two baskets of the game, Flatbush seemed to find their rhythm as Jacqueline Mizrachi connected on a beautiful inside move for a strong layup, which seemed to be a theme for her throughout the night. Flatbush carried the play throughout the half, but as was the case with the opening contest where it seemed the lead should have been greater, Flatbush was up by only 4 points at the half. Ramaz again came out of the gates strong to start the second half, scoring the first four points of the quarter, but Marlene Levy refused to be shut down, despite a first half injury that slowed her slightly. She scored 6 straight points and continued to attack the Ramaz interior, where the Rams could not help but foul her. With Levy out in the fourth resting her injury, Ramaz managed to close the gap to within 5 points, but the defensive pressure from backcourt players Sarah Gammal, Sarit Alkadaa, Raquel Oved and Esther Habert would not allow them to get closer. 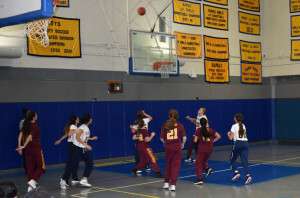 With Levy back on the floor to orchestrate the closing moments of the game, she connected with both Carolyn Kassin and Jacqueline Mizrachi, breaking down the press for two easy layups and salting away the game for the Falcons by the final score of 39-31. The JV were led in scoring by Marcy Ashear who had 14 points on the night. 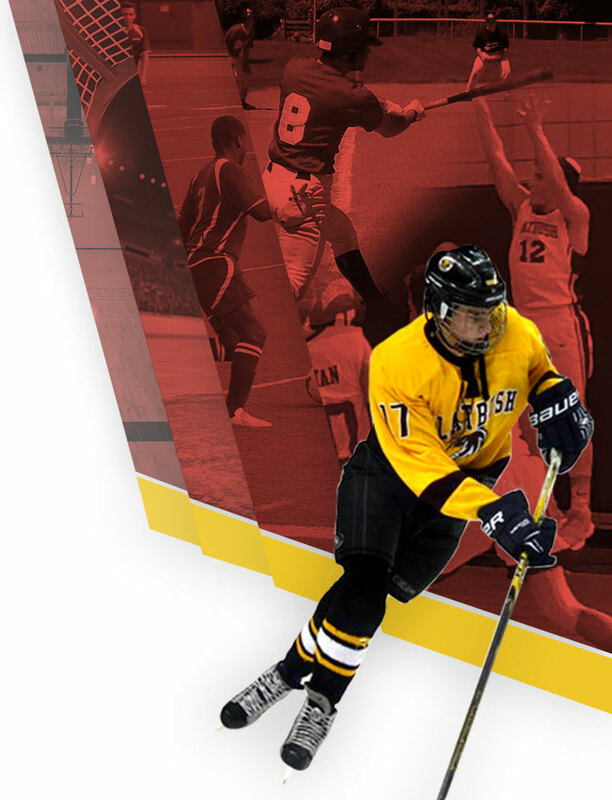 Sarah Richter scored 5 and Lorraine Levy went for 4 while Stephanie Mugrabi and Terri Elmann rounded out the scoring with 2 points each. 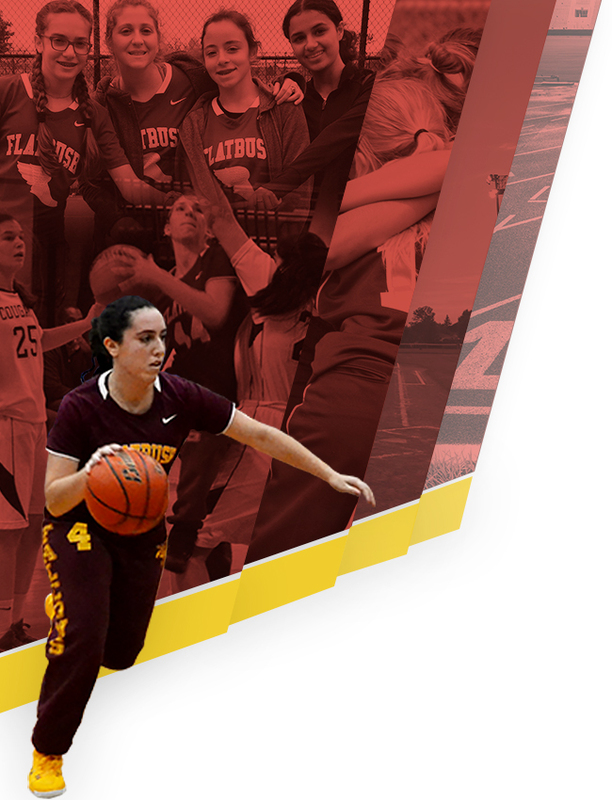 The Varsity Girls received a game-high 18 points from Marlene Levy. 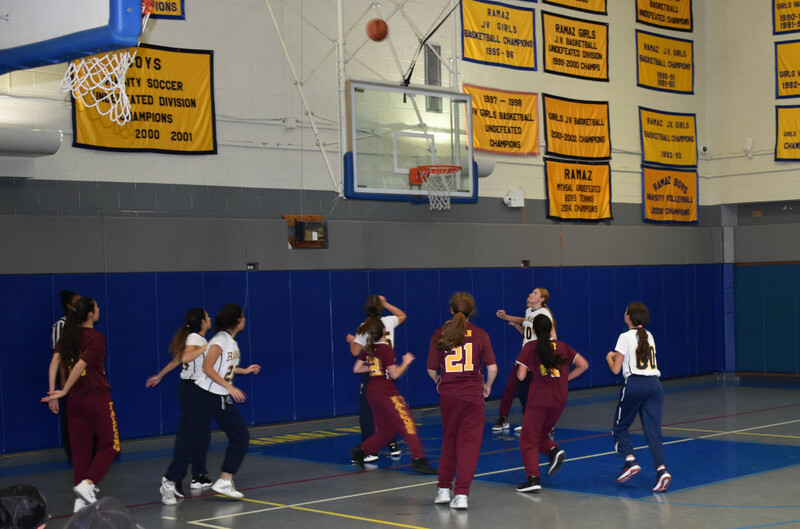 Jacqueline Mizrachi scored 13 points, Esther Habert had 3 points, Carolyn Kassin and Renee Kubie each had 2 points in the winning effort. The JV Falcons will look to get back on the winning track on Sunday night, November 18, when they host the HANC Hurricanes. Game time is set for 8:30 pm. The Varsity Girls have a long time to work on getting stronger across the board as they will put their winning streak on the line against North Shore towards the end of November when they travel to Long Island to take on the Stars in the second game of a JV/Varsity doubleheader. Varsity will tip off at approximately 8:30 pm.